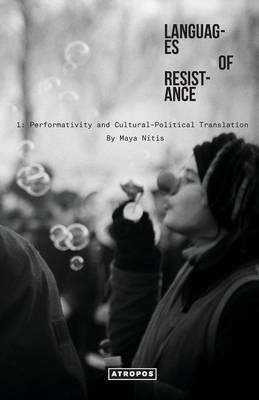 1: Performativity and Cultural Political Translation explores how „difficult language can change a tough world,“ in the words of Judith Butler. Reading Butler’s works, it attempts to stage a dialogue among activism and philosophy, theory and practice, materiality and language. Without exactly de-constructing these dichotomies, each term is interwoven not only with its other, but also in the fabric of thinking and action. Refusing the dominant consumerist approach to knowledge, a performative writing calls for a performative reading. Weaving these themes through the works of Walter Benjamin, Audre Lorde and others the book dares (us) to think in translation. The number 1 in the title indicates an invitation and opening without conclusion. Die Autorin Maya Nitis lehrte u.a Englisch und über das Werk von Judith Butler und ist z.Z. Lehrerin in der Schule für Erwachsenenbildung (SFE). Die Lesung und anschliessende Diskussion wird in englischer, bei Bedarf auch in deutscher Sprache gehalten!